Marilyn Aspen, Weight loss whisperer, Lover of nature, the arts, and New York City. Change agent. Traveling light with a little dog. Free Spirit. 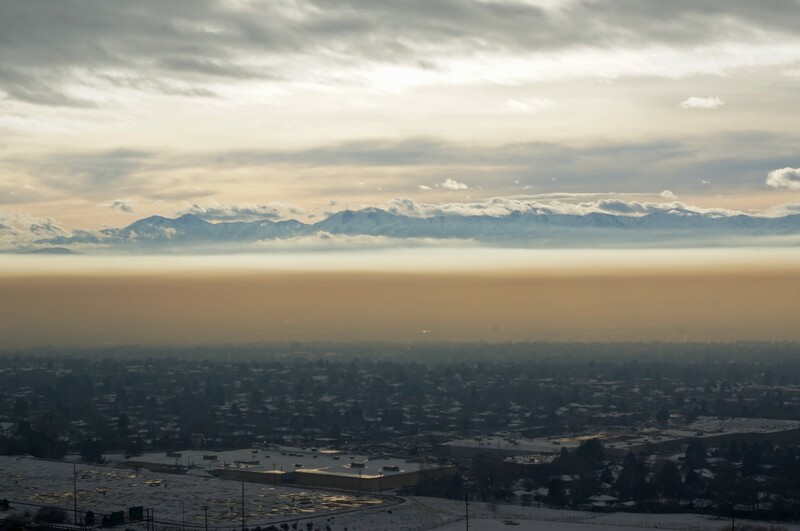 Every winter in the beautiful state of Utah, a natural weather event occurs in the Salt Lake valley. Referred to by the locals as “the inversion,” this chilly layer of fog and pollution covers the valley near ground level, polluting precious fresh air. In addition to creating a brownish-grey environment, it clouds the minds and attitudes of everyone living, working, and visiting in the area. Those affected by the inversion adopt strategies to cope, most often without conscious awareness. We all do that from time to time. As we practice those strategies, we often alter our perspectives, change the story and leave out details that remind us of a reality that is different, desirable, and happier. We forget that on the other side of the temporary inversion is a bright blue, sun-filled, warmer, open sky. It’s there relief waits patiently to be recognized and embraced. We all have the power within us to move through and around our own custom temporary obstructions. We have the ability to ask ourselves the questions that will open us to new insight and even remind us of that which we know but may have temporarily forgotten. We can clear our personal inversion invasions. For example, my mother mentioned how good she feels lately due to adjustments in her eating habits. I was surprised to hear her voice this concept, as her lifetime relationship with food has been based on a simple “count the calories” perspective. Until recently, concepts like quality, processed versus not processed, organic, slow food movement, etc., had not been on her radar screen. Her personal inversion invasion in this regard lasted for decades and muddied her waters with numerous persistent health and weight issues. My own experiences with recognizing and clearing personal inversion invasions have been powerful and enlightening. For example, in recent years, I found myself feeling lonely and socially isolated after eight years of single life. As I acknowledged the situation, I realized the process had been slow and subtle, my feelings spawning one relationship disappointment and several dashed hopes. All of which eventually resulted in measurable lethargy and depression. I had built a wall of sorts around my physical self and heart. For an inanely long time, I accepted my situation. I was completely immersed in and suffering from feelings of loneliness and isolation lobbed onto me by myself and others. I was trapped in my personal muck and I was miserable. Then as the good graces of fate would have it, one significant and pivotal day, a friend mentioned he was driving for Uber and absolutely enjoying the interactions and conversations with his riders. For the first time in a long time, something clicked in me. It was as if he casually blew a bit of the fog from my brain. Something so simple was my first glimpse into light. Driving riders from place to place would allow me to interact with new people everyday, get a quick glimpse into their interesting and busy lives, and make a lot of connections! It was as though the sun suddenly burst through a crack in my muddied mental resistance and shined a light on an idea for a way to shift my situation. Within a few weeks, I was on the road accepting rides and thoroughly enjoying delightful and engaging interactions and conversations with a variety of interesting riders. My personal inversion invasion cleared. I was upbeat. I was once again basking in the sunshine of clarity and positive forward motion. What precipitated the change in awareness? For mom, it was persistent, unbearable physical pain that produced a very strong desire to find relief. For me, it was the intense emotional pain and lethargy that became intolerable. It is in those moments that we crack open. The clouds part just enough for the sun to peak through and shine a light on the other side of our agony. We see for the first time the options available to us, embracing the expanding perspective like a long lost friend. As information coupled with powerful desire fills our minds and bodies with fresh energy, a wind ushers in a storm that clears the inversion. We find new strength, wisdom, and power to create improved ways of thinking and living. Wisdom dictates that we did not come here to simply survive. We came to thrive. Let’s harness our power and do it!